Jalandhar: ‘Baadshah of Bollywood’ Shah Rukh Khan (SRK) has highly appreciated, backed & blessed two talented students, Ajay Kumar Tiwari and Amritanshu of Lovely Professional University (LPU) for their heart-touching singing and music. The occasion was ‘Grand Premiere Episode’ of global singing reality TV Show ‘Dil Hai Hindustani’, where SRK was the ‘Special Guest’. Selected among top 11 ‘Singer Contestants’, LPU Students, Ajay of M Tech II Year (Civil Engineering) & Amritanshu of Performing Arts, enthralled all judges, audience & viewers with their honeyed voice.Being aired on famous TV channel Star Plus, the show is being judged by ace film-maker Karan Johar, singer-composer Shekhar Ravjiani, singer Shalmali Kholgade and rapper Badshah. Budding singers from around the world including Russia, Brunei, New York, and Indian States Rajasthan, Uttar Pradesh, Punjab and many more are showcasing their talent as a solo performer or in a group. Ajay & Amritanshu are pairing with a Russian girl, Nastya, whom they are training in Hindi language also. Their singing and music performances in top “jugalbandi” (fusion) for patriotic song “Bharat Hamko Jaan Se Pyara Hae…..Hindustani Naam Hamara Hae” left all dumb-founded in passionate patriotism for a while. Reputed judges, audience, one and all were so emotional that there existed pure silence out of patriotic joy. Tears, sobs and sighs out of grand singing and music bliss from LPU students glistened on the faces of all. Thanking LPU students for their enthralling singing and blessing them for further success, Shah Rukh Khan told LPU students: “The beauty of this show is that it is serving as a great platform in bringing together singers for Hindi singing from across the globe, grab it”. 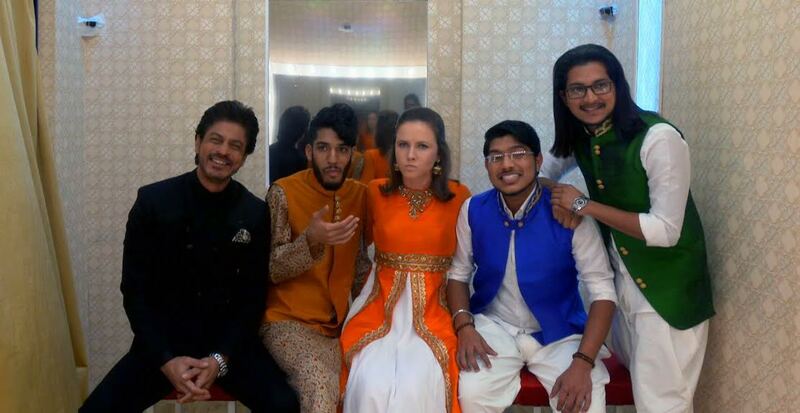 The presence of SRK not only magnified the show, but he also danced with LPU students and other contestants. Film-maker Karan Johar was so much impressed that he could not utter even a single word and indicated through gestures that LPU students’ performance was above all. 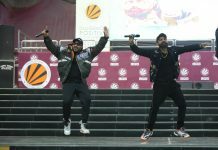 Shalmali shared emotionally that their performance and sentiments touched the very core of everyone’s heart; liking the tricolor combo- dress of LPU performers and Russian co-artist, Badshah claimed that LPU students 3 minutes performance made all realize that we are lucky to be born in India; and, so was the eulogized saying of Shekhar for LPU students. Illustrative, on an other channel ‘&TV’, another LPU student Paras Maan is also excelling other contestants in the reality show ‘ the Voice India’. LPU Chancellor Mr Ashok Mittal wishes for the final win of these talented students of LPU.